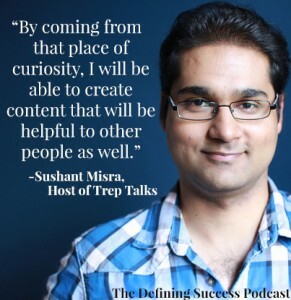 Sushant Misra is the owner of Trep Talks, and he and I are in a mastermind together. He actually interviewed me on his show about six months ago. He’s a really bright guy, has a great advice. One thing that he brought up, which I have found to be true with the interviews I’ve done with people for The Defining Success Podcast, is that there is no big secret to success. It’s a great episode, I hope you all enjoy! 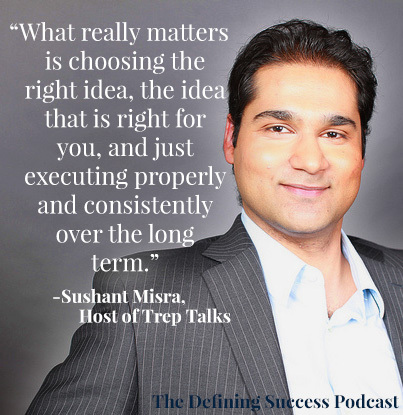 Sushant Misra is the host of Trep Talks, a web-based interview show where he interviews some of the most successful digital entrepreneurs on the internet. 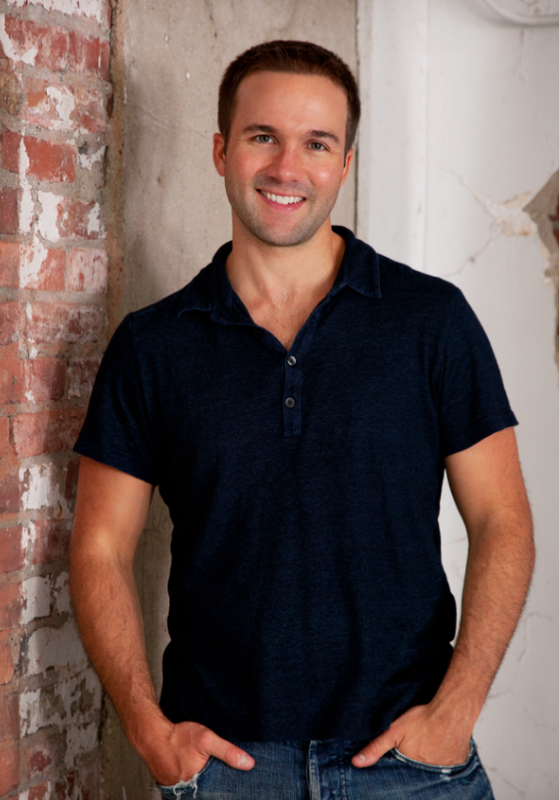 These entrepreneurs share their stories as well as a few “secrets” – i.e. mindsets, strategies and tactics that worked really well for them in starting and growing their own online businesses. He is also the owner of yogamatstore.com. It was a lot of fun for me talking with Sushant. He and I have a conversation every week and talk about our businesses and talk about ways to improve our businesses. It’s always been a good learning experience for me and everyone else that comes and participates in that mastermind group that we’re involved in. He gave so much practical advice, and a lot of great philosophical stuff too. 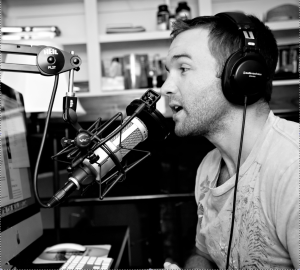 One of the things he said that he learned from doing his Trep Talks show, the video show on his podcast, is that there is no big secret to success. I think when I started the Defining Success Podcast I was kind of looking for that too. I think a lot of people when they think about using social media or using the internet they think it’s kind of like a gold mine maybe, or that you just jump in and you can make money off of it. But that is absolutely not the case. It takes a lot of hard work, dedication and commitment. So maybe the secret to success is that you need to work hard, you need to be committed, you need to persevere, you need to have all those different tools in place. What he came to realize was that he had to find out how to drive traffic to his website, had to make sure his website functioned properly, he had to make sure visitors to the website can find what they want and purchase the leather goods. He just didn’t have that level of commitment and interest to go in there and dive in there and make it happen. He kept telling me about all these dreams he had to use the internet to make money, but he would never do the hard work that was necessary to do that. (If he’s listening, I apologize for bringing that up. I know he’s really active and excited about the work he’s doing now.) I will say that from all the people I’ve interviewed on The Defining Success Podcast is that there is no secret to success. The secret to success is that hard work, perseverance, getting that stuff done, and doing it in a smart efficient way. Such a great time talking with Sushant today, a lot of great advice in the interview. Adam, Scott, Jolene, Herby, Sushant: thank you all for being a part of that mastermind group. Trep is short for the word Entrepreneur. It’s a great place for people that are interested in learning about online marketing or online entrepreneurship. Sushant is taking this project in a new direction. 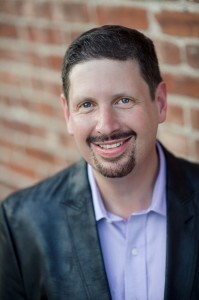 He’s working to create a lot of great educational content with really successful people teaching you directly. Sushant had Zeb on his show, Trep Talks, about 6 months ago. He was the first to turn the tables on Zeb and make him an interviewee on a podcast. Zeb had a great experience on Trep Talks and is excited to now have Sushant on The Defining Success Podcast. Zeb and Sushant are part of the same mastermind group. In 2010, Sushant finished his master’s degree in Health Administration mainly because his parents wanted him to be a doctor, but he wanted to learn about business. He had realized that he was very entrepreneurial. 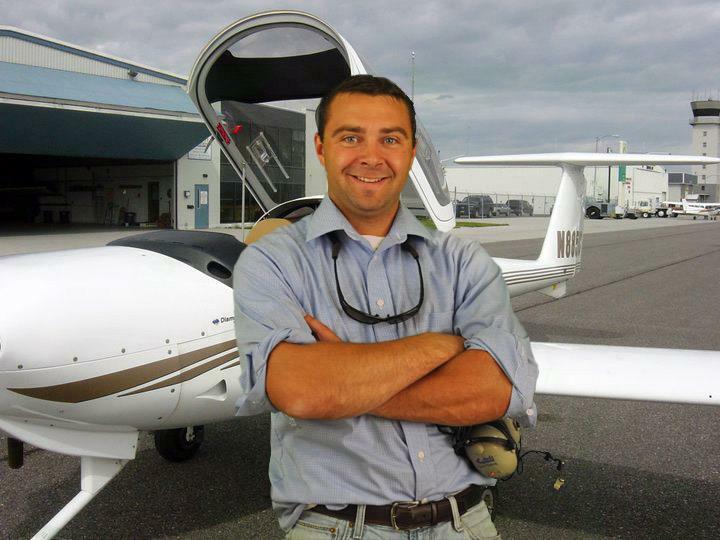 After graduation he had the decision to take the safe life, get a typical 9-to-5 type job, or to really pursue his passion. He took a leap of faith. He didn’t know much about online marketing or online entrepreneurship, but from the little he did know and from his experiences visiting wesites, he knew the internet would continue to grow. 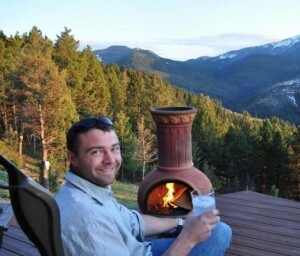 He taught himself and created his own online ecommerce store called yogamatstore.com where he sold yoga products. He did that for a few years, but he wanted his own products and lacked the investment to be able to do that. He had to go back in the industry and work for some bigger ecommerce businesses and gain more experience. Then he found a product that did not require a lot of upfront investment, he started Trep Talks. 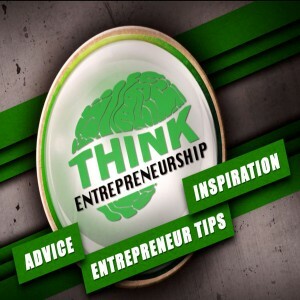 On Trep Talks he interviews a lot of knowledgeable people in the online world and put out those interviews. Now Sushant is at a point where he wants to take that project and make it something bigger. Sushant says there are two kinds of people who become entrepreneurs. One kind is an accidental entrepreneurship, these are people who have worked in the corporate world for 15 – 30 years, they have an acquired set of skills, they know a lot about a certain industry. Now with all that skill and knowledge about an industry they identify an opportunity and start a business. Often they have some capital investment, partners, and things like that. YogaMatStore is a learning process for Sushant about entrepreneurship, about his own personality, about the online world. He has taken that experience and brought it with him and to new level with Trep Talks. He hopes to create something that is useful and valuable for people in the world, and that creates a better life for people around the world. Entrepreneurship is so difficult that if you are not truly interested or passionate about it, it’s not really something that everyone should pursue. He says, I realized that I had a passion in learning about the online world. I started approaching people, I approached you, I really started talking to people about how the online world works. 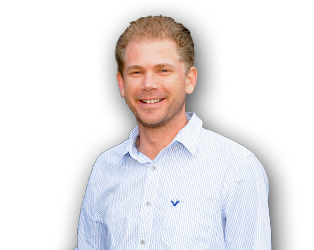 I started putting videos on the website just thinking that there are other people out there just like me who want to learn more about online marketing, online entrepreneurship, how to start a business, how to find clients online, and I received a great response from people on different social media sites and people emailing me with great feedback. It was really a project for me to learn more about online marketing because I was really passionate about it. But, it seemed that it’s something that other people are also interested in learning about. I want to take it and turn it into a big business and really take this idea and take it further. Fun Fact: Sushant had never used Facebook before 2013. He realized that he should remedy that, so he created a set of interviews where he interviewed a lot of great Facebook marketing experts. He dug deep and asked them questions from the perspective of a beginner trying to learn how to leverage Facebook marketing, how to leverage Facebook advertising, to find your clients online, to really generate revenue for your business. Sushant has interviewed 60 to 65 people for Trep Talks. He says it’s already been a great journey. He is appreciative especially of the people who gave him their time and knowledge in the very beginning and who believed in him. He says one of his best interviews was the one with Zeb, but there are several good ones. One of his first interviews was with Tim Ferriss, a very well known online marketer, and it was done in person, an experience Sushant will never forget. Another one was with a blogger named Michelle Shaeffer, she was one of those first people who believed in him. She introduced him to a lot of other people that he was able to interview on Trep Talks. Advice: Find a big vision. Start. Learn. Refine your idea. After that it’s just about pure perseverance and just not giving up. He says, 6 or 7 months ago when he started this project, networking and meeting new people was a big challenge for him. One of his mentors pushed him to start networking when he had to go back to working at a bigger business. Sushant had an a-ha moment. Business is really about people. You have to be comfortable talking to people, networking with people, and helping people. Sushant was doing Trep Talks as a full time job. At one point he wasn’t getting the revenue he needed, his savings was running out and it took him to a dark place. He clearly remembers thinking, in this dark place, this is where I should start looking for opportunities. A couple weeks later he ran across a funding opportunity from the government in Ontario, Canada. They help new and young business owners with funding and training and things like that. He applied for that opportunity, it took some time, but he finally was very fortunate to receive that and now is able to pursue his dream and take his idea to the next level. He had to stop and tell himself, “this is a dark place, I really need to look for an opportunity” and he found it. Sushant has been in Canada for about a decade, before that he lived in India. He says he was raised in a very safe environment. He was very comfortable, he never wanted to take a risk. He cared too much about what everyone else thought about him. When he went to Canada, he kinda took that as an opportunity to try a lot of new different things, because he thought, “who cares, no one here knows me.” He wonders what if he would have felt that way sooner at a younger age. This entry was posted in Episode 082: There is No Secret to Success | Sushant Misra Host of Trep Talks and tagged commitment, dedication, Defining Success Podcast, Entrepreneur, Entrepreneurship, hard work, Mastermind, Motivation, online entrepreneurship, Online Marketing, perseverance, Secret, Secret to Success, Success, Success Secrets, Sushant Misra, Trep Talks, Welborn, Zeb, Zeb Welbon on May 15, 2014 by Admin. 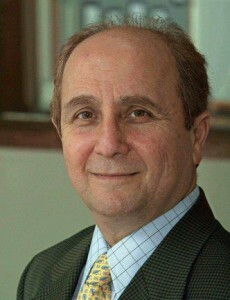 Michael Peshkam is the founder and CEO of Xincus. Xincus gives businesses an opportunity to collaborate and communicate with each other on his platform and creates the opportunity to leverage social media. Michael talks about businesses and social media, noting that there is a difference between a business that uses social media and a business that is a social business. Xincus is the first-of-its-kind online Social Marketplace for Business that makes the power of mass collaboration available to everyone by bringing together Experts, Businesses, and Enterprises to engage each other and create new business value and opportunities that they could not develop independently. Michael is extremely smart and knowledgeable. I really liked the correlations he made between the 19th, 20th and 21st centuries and the implications of the power structure that is involved with each century and I agree with the direction he sees things going. One of the things he brought up, that I want to touch on, is that there are businesses today that are using social media, and they think that’s being social, but it’s not. You need to incorporate social media into your business to create a social business. For example, The Tutoring Solution. I originally got started on Facebook and I wasn’t getting a lot of engagement. I racked my brain and came up with the idea to offer a scholarship. We call it the Share Your Passion Scholarship. To enter we ask students to write an essay to explain what they are passionate about, why they are passionate about it, and how they can use their passion to help others. Then we vote and choose the winner. We give the people on our Facebook the opportunity to vote and help us pick their favorite, and we encourage each of the students to get their friends on facebook to vote. 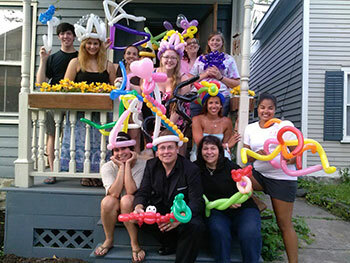 We wouldn’t have started that scholarship if we weren’t thinking of ways to interact with our potential clients. Since then we’ve leveraged that scholarship into so many different areas. We have counselors at different schools recommending us, it makes more people aware of us, helps us get the word out, and then (most importantly) we’re just doing a really good cool service for kids that are passionate and excited. Just doing social media in and of itself is not enough. In order to leverage social media and the potential of it, you need to make your business a social busienss where you are incorporating social media into the structure of your business. 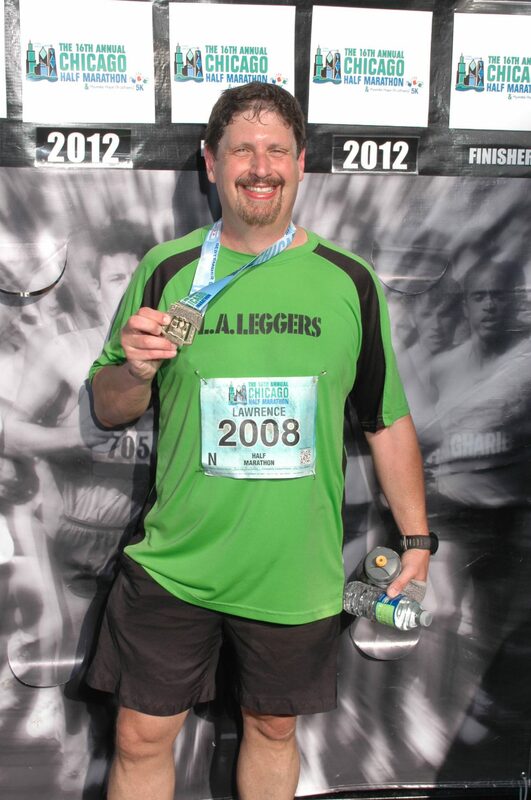 Michael had some great examples with Threadless, Sirius, and Nike to explain to become a true social business. Michael graduated in Europe, lived most of his life in Europe. Got a PHD studying aerospace and software engineering aka, rocket science. He worked in the UK for a fortune ten company. He has been fortunate enough to travel the world twice. 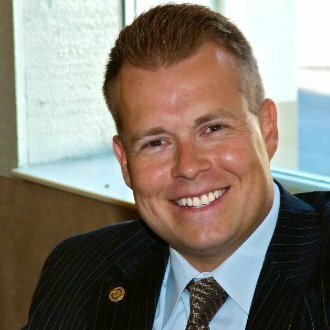 In 1996 he hopped the pond and came over to the US where he became senior business IT executive and most recently an entrepreneur. 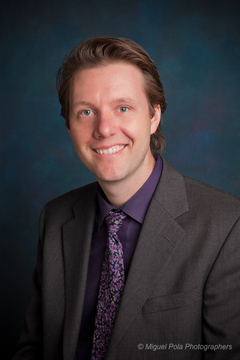 He’s also been an associate professor teaching at university. He’s worked in technology, education, business and now he’s an entrepreneur launching Xincus. 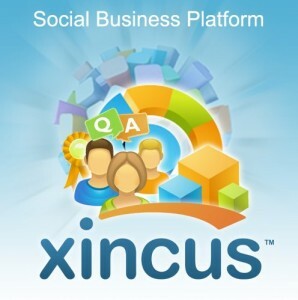 He says, Xincus is the next generation of social media known as social business. The migration from social networking to social media and now to social business. Essentially social business, in a nut shell, is creating business advantage through social technologies. You take the social media (your likes, friends, followers and so on) throw them in an environment which is specifically designed for your business and leverage the tools and technologies to create business advantage for you, whatever that business advantage may be. We’ve designed a platform to allow small and medium sized businesses to have internal collaboration just like bigger corporations and, in addition, it also has a marketplace where they can have better integration with their partners, customers and crowd. For SMBs to do what the larger organizations can do, plus they now have a marketplace like Ebay or Amazon. You can also integrate with other business owners to bring together: collaborate, create new knowledge, new know-how, new products & services and innovate things that would be better, faster and cheaper than if you were to do it on your own. Threadless wanted to make T-shirts. Rather than go and design the shirts themselves, they created their own internal social business platform and invited designers to come and suggest designs. They managed to bring in the crowd, give them the opportunity to design, at the same time have the crowd select their favorite designs, then Threadless goes ahead and prints and sells T-shirts with the chosen designs. They created an integration of social media tools to bring the crowd into their own social business platform to create a business advantage. Sirius Satellite Radio is one of the first examples of a social business. One of their channels, the least popular, was brainstorming how they could get more listeners. The executive suggested allowing customers come in and program their own playlists. After a while that channel became the most popular. Traditionally Cimex would have brought in various consultants to over 200 locations around the world, complete a study, and go on to develop their alternative energy for their plants. But through use of social technologies internally, this time they linked their engineers into communities, sort of pilot social networks, and were able to accomplish the same thing within 6 weeks rather than 2 years. Many people have ideas, many people have visions, but they start half way through and they just give it up. Entrepreneurship is not for the faint hearted. You can think along two different lines: social media or social business. Social media, all the channels and tools available are fantastic and excellent for promotion, communication, advertising, and reaching out to the masses. But liking is not leading. Just because a business is on Facebook or LinkedIn does not make them a social business. You need to transform those likes and followers into leads where you can leverage them; give them something in return to help you accomplish more. Business owners these days have the entire world open to them. 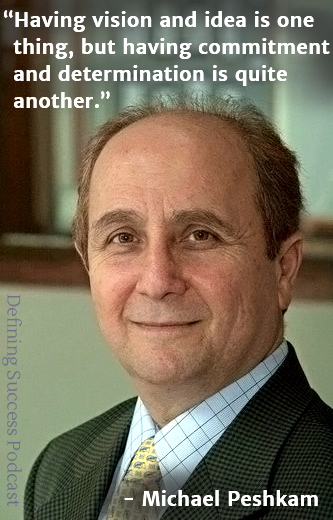 To find out more about Michael Peshkam and Xincus, visit Xincus.com. This entry was posted in Episode 075: What Makes a Social Business | Michael Peshkam Founder and CEO of Xincus and tagged Entrepreneur, Entrepreneurship, leverage social media, Mass Collaboration, Michael Peshkam, SMB, SMBs, Social Business, Social Business Integration Platform, Social Business Platform, Social Marketplace, Social Media, Success is Happiness, Xincus, Zeb Welborn on April 17, 2014 by Zeb Welborn.